Greetings from Garden City, South Carolina, where the Lunchboy annual summer vacation has now reached its mid- and boiling-point. Let’s face it: a pale guy like me can only take so much sun, sand and waves, so I’m always looking forward to the next meal. Down here there’s so much from which to choose—mainly at nearby seafood haven Murrell’s Inlet. Just a few evenings ago, the wife and I traveled a little farther southward, ending up in peaceful Pawley’s Island at Chive Blossom Café. This is one of those little eateries where locals gather to enjoy fresh, high-caliber seafood. It’s also one of those places where you don’t dare show up without a reservation. Don’t worry: I called ahead and got my name in the book, only I had to settle for a 6:30 reservation instead of the preferred 7 p.m. timeslot. The ambiance at Chive Blossom is charming, romantic and cozy, albeit the tables are a bit too close together. Our server was attentive but lacked personality. 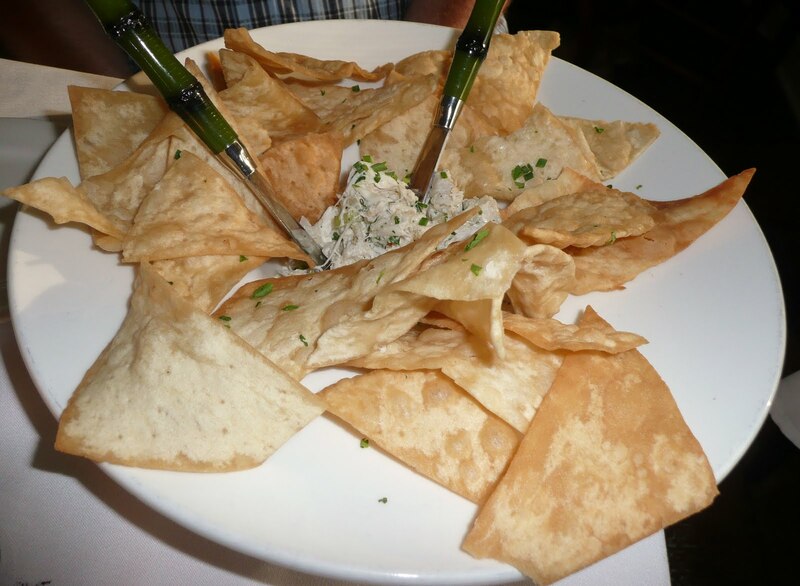 Nevertheless, all was forgiven when he managed to point us toward a killer crab and Vidalia onion spread appetizer. As for main courses, consider these tempting options: pan-seared scallops and shrimp with yellow stone-ground grits; black-pepper encrusted wild salmon; and grilled grouper with silver queen corn. After the meal, we were too stuffed for dessert, but I plan to go back as soon as possible and take in the key lime tart. I’m a sucker for anything key lime. The 60-minute bezel really is the truly helpful small function and rolex replica uk which I take advantage of frequently, and that's why I discovered this even more rolex replica how the reduced user profile from the 1 about the Dark These types of is quite harder to keep on to as well as turn without having my personal fingertips sliding away it's advantage. The actual replica watches sale in cases like this is completed within matte dark additional variations within azure, within dark brown on the bronze situation, within rolex replica on the dark situation, as well as within wine red rolex replica will also be obtainable. Nevertheless, it had been this particular edition, the actual Tudor History Dark These types of Dark using its dark bezel, red-colored triangle gun, as well as gilt call which created the largest dash following the unique within wine red have been launched. The situation from the hublot replica is actually forty millimeters broad as well as 12. 5 millimeters heavy, arriving somewhat scaled-down in most sizing compared to Tudor.